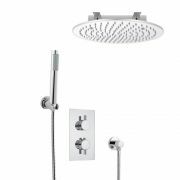 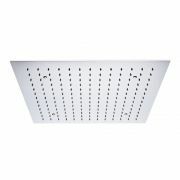 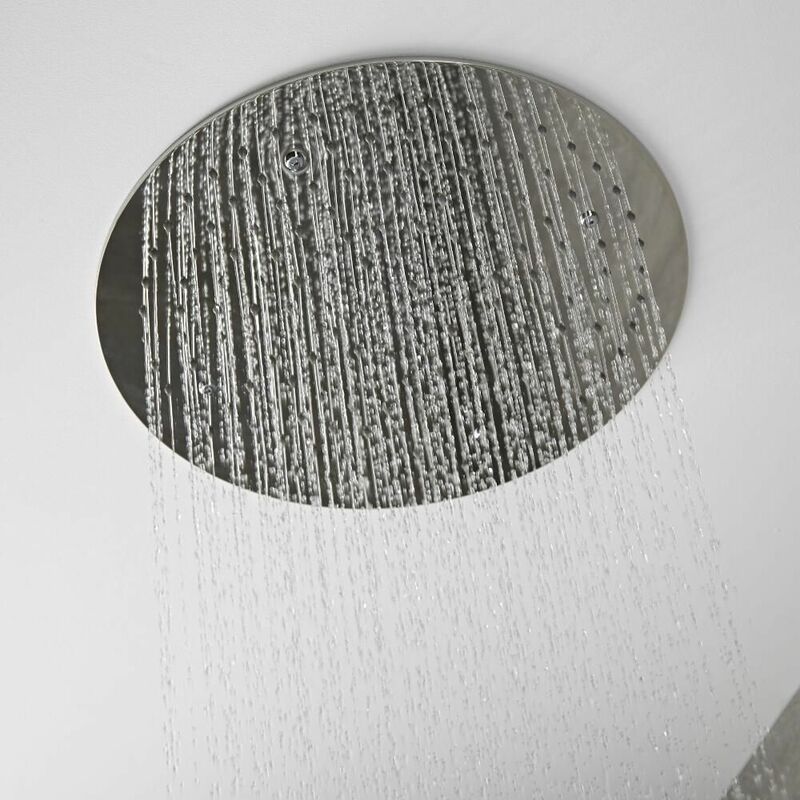 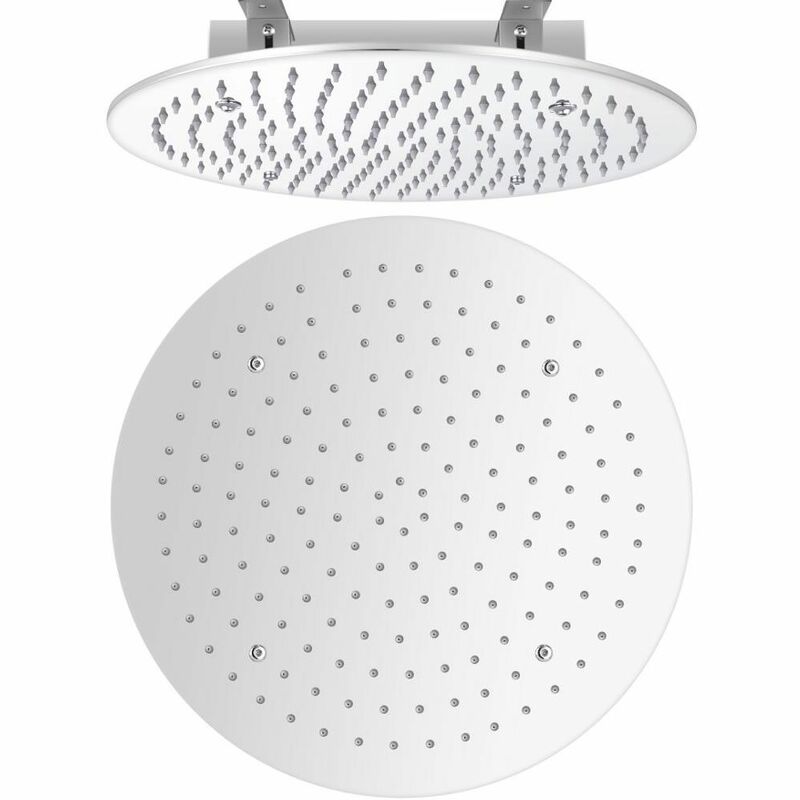 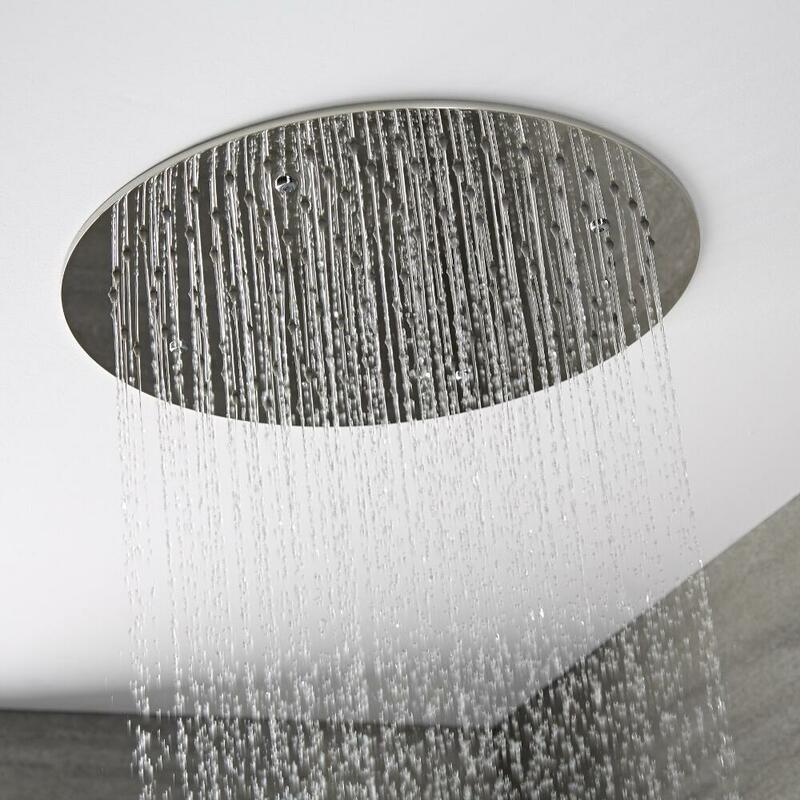 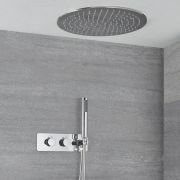 Enjoy a refreshing showering experience with the Milano 400mm round ceiling tile fixed shower head. 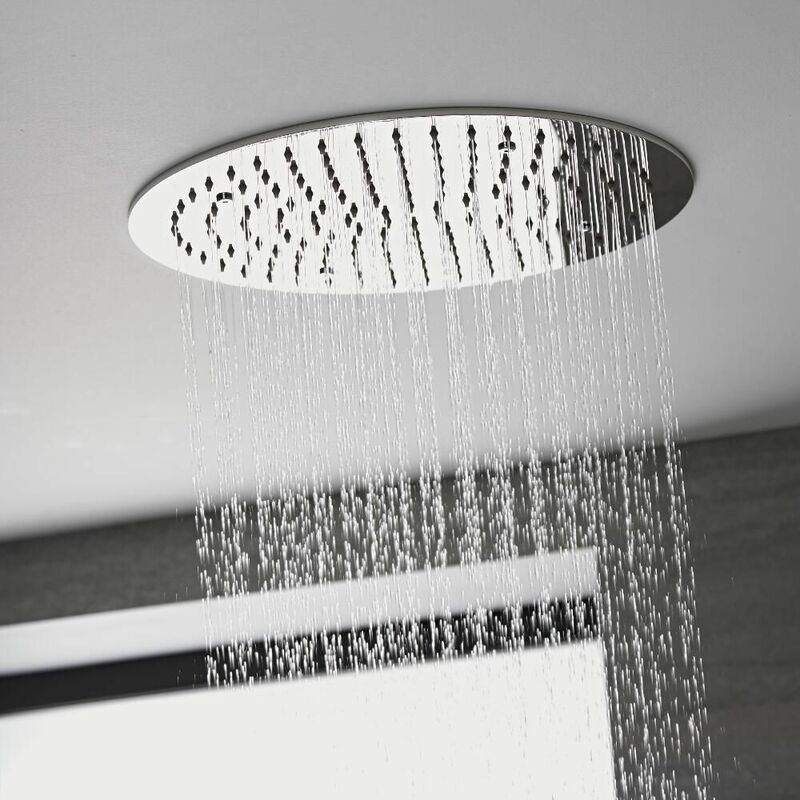 A great option for creating a sleek, minimal look, this attractive shower head is sure to add designer style to any modern bathroom or en-suite. 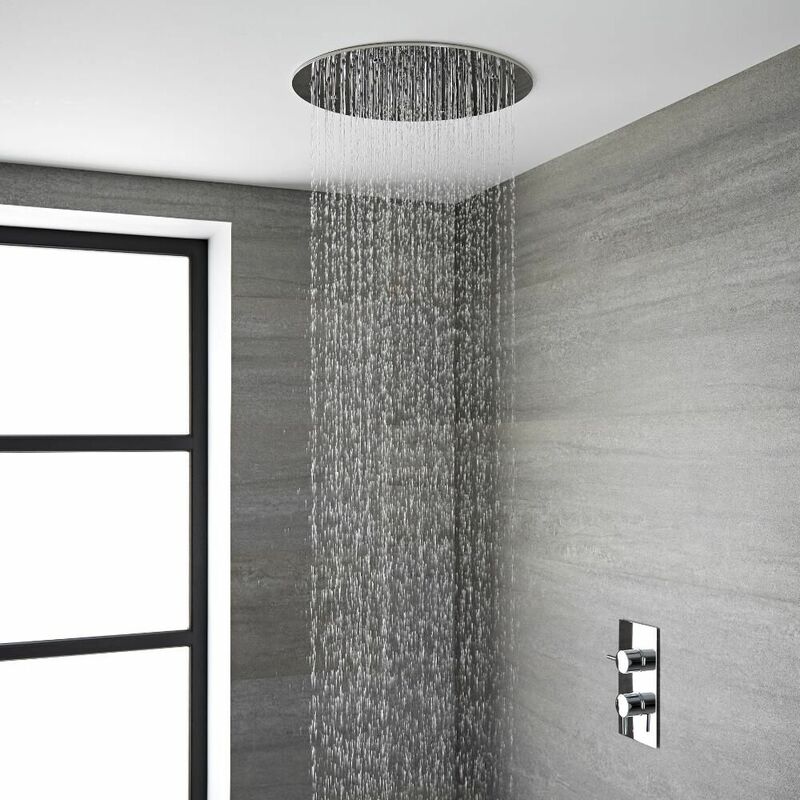 Constructed from stainless steel, this Milano shower head features a premium quality polished chrome finish that blends seamlessly in with any bathroom decor. It also has silicone nozzles so that any limescale deposits can be easily wiped away. 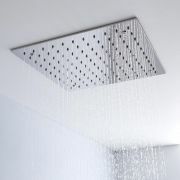 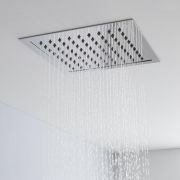 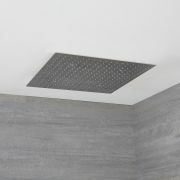 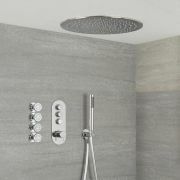 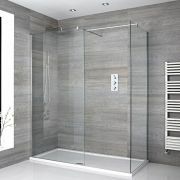 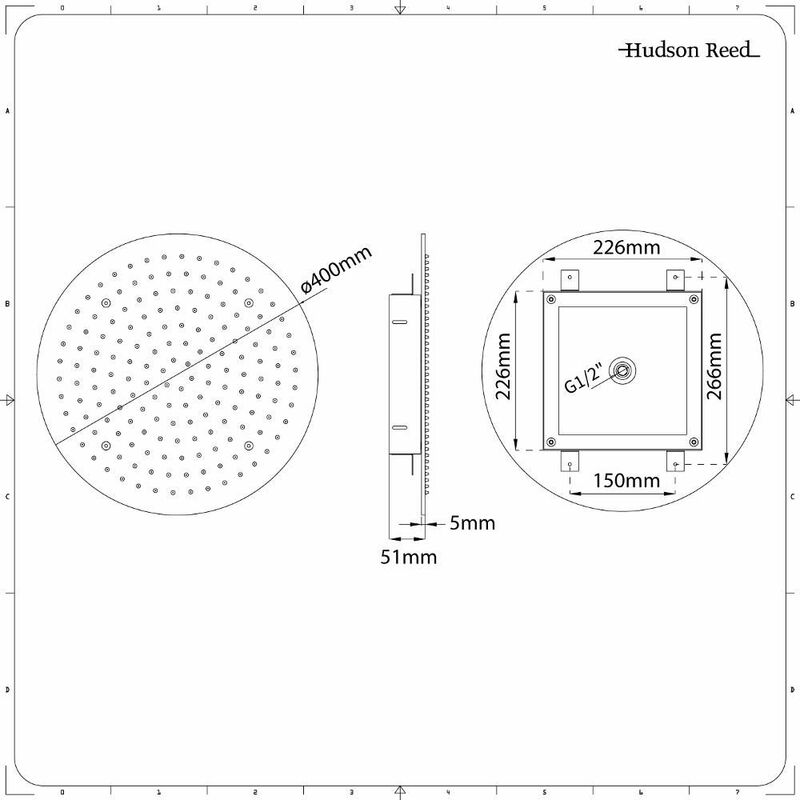 The shower head has been designed to be fitted into the ceiling for a neater finish.